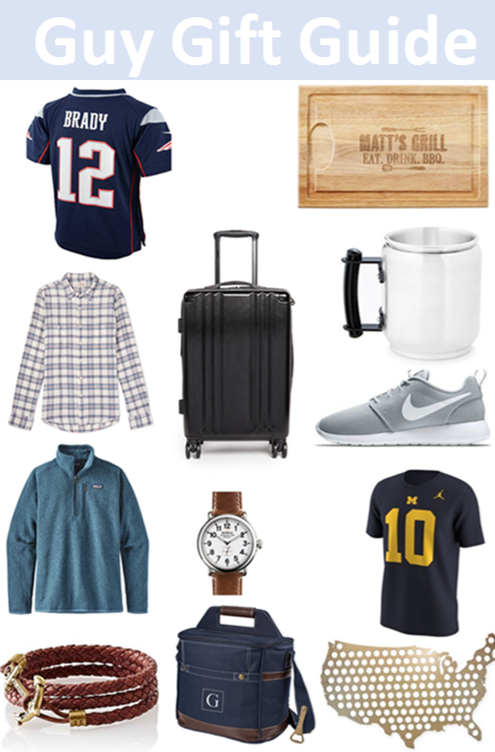 This can also be called a guys gift guide, but I will also put a step by step guide on finding your significant other a gift. This step by step guide can be used for male or female. Step two, take the one advice your random acquaintance that you never actually talk to, but were bored one day so you started asking your go to questions. GOOGLE what to get your significant other. See all the cool ideas, realize your significant has everything, add a couple of things to your basket for yourself, and wait by the door for all of your online purchases to arrive. Step 3, Now that you have memory foam slippers, ask your significant other to come hang out. Discreetly ask what you should get your brother for Christmas. When you significant other gives you ideas, ask them "Would you want that". He will say no. Now that you have beaten around the bush for the past month, bluntly ask him what he wants for Christmas. This guy has everything in the world, so he will say "You know what I like". Step 4, finish hanging out with your significant other and have a nice time. When that hang out is over and you rush him out the door, have a Christmas break down. This should be less than 5 minutes because more than that is dramatic. Step 6, read this guy gift guide! Buy the gift, and you are ready to roll. But really you have to know your guys (your dad, your brother, your significant other) They all want different things so listening is your best quality this holiday season. Flannel// This one is a) comfy for him and b) cozy for you to look at. It is a win win. Plus flannels are my favorite thing to wear for my business casual day. (It is basically wearing PJs) He will appreciate that as well. Patagonia// 1/4 zips are the best. It is great a cozy gift! A Watch With Reason// So I loveeeee a Shinola watch. It is near and dear to my heart because it is from Detroit. I can spot a Shinola watch from a mile a way, and it is so fun talking to people who love the brand too. Even in downtown Detroit there are Shinola street clocks on ever corner! Sure I love some other watch brands (Get 25% off a Jord watch with the code Bridgettemack) But Shinola is near and dear to my heart, and I'm sure you can find an amazing brand for bae too! Luggage// Perfect for the traveler bae! Plus who could not use the perfect luggage!? Beer Cap// This is so fun if you are all into the beer life. It is fun to see the different beers you have had from different states. I love your ideas!! Gave me a few to consider! It is always so hard for me to find a gift for my husband. Love the bottle cap map! the luggage is such a good idea. ive been hinting for that as a present for months! Guys are always so hard to buy for! Some great ideas here! I always struggle to buy for my husband. He is one of those guys that if he really wants something he just buys it. So annoying. These are great gift ideas! Guys can be so hard to buy for. Good ideas! I loved your step guide... so funny! Really gives you a lot of ideas for those guys in your life! They are the hardest to buy for! What great ideas. I love these gift guides. Hopefully this year I will be the best gift giver. Step 4 is my favorite! LOL Thanks for sharing these gift ideas.